For example, in August, I also watched Aladdin, A Fish Called Wanda, Brazil, Fierce Creatures, and Muppets Most Wanted. But I’ve already seen these at least once before (and in some cases, many times before) so they don’t belong on this list. Also, I just took it from my Pinterest – whoo, laziness! 3/5 ✦ – Watched 22 July 2014. I liked it! I’m not sure why it didn’t get that many good reviews. 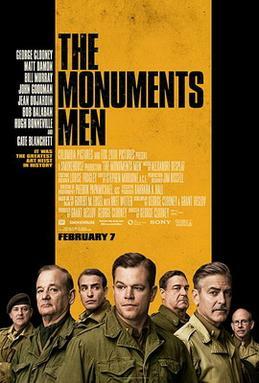 It’s a safe, by-the-book movie, to be sure, but it’s funny, poignant at the right moments, and has a GREAT cast. Probably like most people who saw this, I thought it was pretty weird. That’s not to say I doubted the validity, albeit remote, of a man falling in love with his AI, but it dragged in places, and some of the sexual scenes were overdone. Phoenix was amazing, though, and Johansson did fine voice work. Worrying/wondering about how technology is consuming the world is an oldie but goodie concept, and one for which I’m a sucker. A real brainteaser, if you let it. 4/5 ✦ – Watched 10 August 2014. Ahh, one of the big summer blockbusters. This movie was pretty freakin’ awesome, though it sometimes awkwardly straddles the line between comedy and action, and doesn’t always pull it off well. (The first 10 minutes are mood whiplash UP TO ELEVEN.) But I LOVED how each Guardian had a fully fleshed out character: everybody was equally badass and funny. Overall, a great ensemble movie. 3/5 ✦ – Watched 30 August 2014. I told myself I wasn’t going to see this because of how ridiculous it looked, but… I caved. So many friends said it was “surprisingly good” – and they were right! 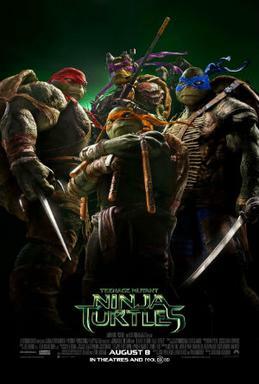 The plot was predictable and thin, but the Turtles’ characteristics were SPOT ON & the fight scenes were great. And when you’re talkin’ ’bout giant adolescent reptilian martial artists, isn’t that all that matters? Even Fox did a decent enough job, given the fact that she really wasn’t suited for the part. April need a sort of Pepper Potts-type actress, one who screams I’M A BADASS REPORTER LADY, not like Fox, who sadly seems to only be able to scream I’M A MODEL in all her scenes. Again, she did a fine job and pulled it off, but casting really could’ve done some more work here. But really, if all you care about are THE TURTLES, you will not be disappointed.